Set a goal – try to walk 30 minutes a day. 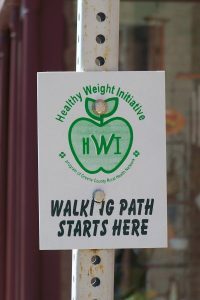 Look for these walking marker signs in Athens, Catskill, Windham, and Coxsackie. Follow the signs for a one-mile walk! Print Your Own Log and Start Walking Today! CLICK HERE to download the walking log.